Yesterday morning the local authority in Mukalla has completed the project to divert the course of the sewer line that was flowing down into the Creek of Mukalla city and caused water pollution and produces fetid odors. 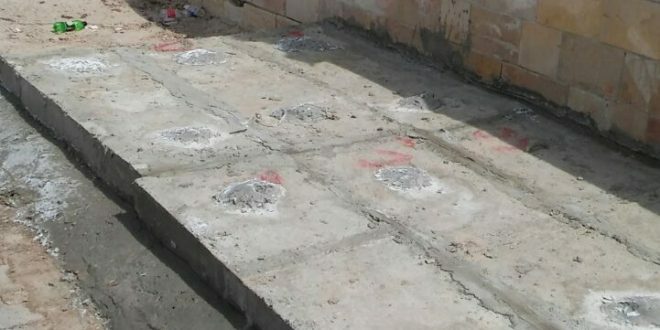 ‘Alwaqa Aljadeed’ was informed by the General Director of the Directorate that the period of work in the project took 25 days to use the 20 sewer manholes and 2 suction siphon sewer giant and the cost of the project in terms 9 million Yemeni riyals. This project is part of several projects carried out by the local authority in Mukalla to improve the overall appearance and preservation of public health.